It turns Mother Nature doesn't always cooperate. Here in Omaha, storms can be severe with winds gusting to 60 mph, heavy rains, and even tornadoes. Heavy snow in the winter can also be detrimental to the safety and well being of your home. 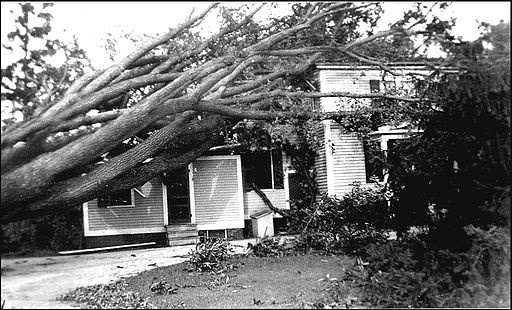 When a tree falls on a car, house, or other personal property it is an emergency and needs to be handled the right way. Especially when dealing with insurance. Our team is trained in working with insurance companies and home owners to make the process happen smoothly. Sometimes it is difficult to turn a stressful situation around. After dealing with so many clients over the years who have suffered from a catastrophe like this we promise to make this process happen in the smoothest manner possible. If unfortunately you to have to deal with storm damage or just bad luck, we want you to feel confident in our emergency tree removal. The job will be performed effectively and efficiently so you can get back to your life as soon as possible. Leave the clean up to us!